If you have two indicators in conflict for USD/MXN. ADX and RSI are at both 100 even. The Williams is at -50. The standard deviation is zero with momentum at zero too. I have drawn an upward triangle for the last thirty minute mark. Is the triangle the right indicator for the directional buy/sell since; their is low volume. I have three EMA setup but all are dead even combined. Any assistance would be great. ADX at 100 is unlikely. Apart form that, if indicators keep silence, you turn to basic and most reliable methods of technical analysis - trend lines, channels, S/R levels, candlestick combination patterns etc. If the volume is low and you've identified a triangle pattern, it is your key reference point - a breakout of the triangle on a higher volume would show where the market wants to go next. I used MetaTrade4 Platform for trading, but when i insert MACD indicator, i only see one Signal line, and one EMA curve not two, but on other it always two curves. Pls how can i make the my MACD has two EMA curves. Metatrader 4 has a standard MACD indicator - the one you're using. None of us is aware of such indicator. We are sorry. If anyone knows, please help by leaving a comment below. Thank you. I have seen different stochastics with different properties like: 9 3 3; 10 3 3; 5 3 3; 6 3 3 etc. pls which property can i use bcos i want to combine stochastic with pivot points on my trading platform using 15 minutes time frame. For 15 min charts the best choice would be to use Stochastic 5, 3, 3. Where do i go to learn how to efficiently use Forex indicators like MACD, Fibonacci Retracement, Arcs, trend lines and other important indicators to be able to predict the market movement more carefully. There are many good resources online. Discussions speed up learning. Let's talk! Submitted by Beginner Trader on Wed, 05/13/2009 - 00:03. Submitted by Beginner Trader on Sun, 08/02/2009 - 12:54.
i trade with 250 d0llars account and am a begginr. how do i trade to increase the amount without losing? Submitted by Forex Tutor on Wed, 08/05/2009 - 23:36. If you focus on preserving your initial account deposit and following your risk management rules, you'll see your account balance grow. Submitted by Beginner Trader on Wed, 08/05/2009 - 23:59. How do one set moving average,which signal does each of the three difference colours represent? and in what direction would they go in terms of buying or selling signal? Submitted by Forex Tutor on Thu, 08/06/2009 - 00:09. Each Forex trading platform has its own way of setting indicators. Moving averages are used to smooth out market price, so that instead of a choppy up and down moves we can see a smooth line - the average. There are three main types of Moving averages: Exponential - the fastest, Simple - the smoothest but also slowest to react to market changes, and Weighted - most flexible average with a better response to most recent price changes. Trades pick Moving average indicator method and settings which work best for their trading systems. There is no universal approach. For you to start with something, have a look at SMA 10 and SMA 20. When both moving average lines on the chart head up - you're looking at an uptrend, once they cross over and begin to fall down - you've got a downtrend. Submitted by aula on Thu, 08/06/2009 - 00:13.
does an indicator tells future market movement? or past movement. Submitted by Forex Tutor on Thu, 08/06/2009 - 00:18. Indicators reflect past movements, as they are based on price data they receive. Forex indicators cannot look into the future, unlike Forex studies, such as Elliot waves, Fibonacci, Pivot points, Gann theory, market cycles etc. These studies are not exactly "forecasting the future", but they can help to build a plan of possible expected key levels and turning points in the market for days, weeks and months ahead. Submitted by Beginner Trader on Thu, 08/06/2009 - 03:37. Submitted by Forex Tutor on Thu, 08/06/2009 - 03:40. Submitted by Tiga Souverain on Sat, 09/26/2009 - 12:41. Att:if you trade doji looking for only tragonfly & graveston doji you supose to know the doji rule mean when you make the order to trade doji try to take 5 or 10 pips profit if the doji start the direction reversal if you don't make the order leave alone but if the trend continue wait for 30 pips in the trend direction place your order put your stop loss 40 pips mean you subject the dow theory about 66% retracement that's mean the market loss the trend reversal. Submitted by paula on Wed, 10/07/2009 - 07:23. Submitted by Beginner Trader on Sat, 11/07/2009 - 16:33. Submitted by Beginner Trader on Sat, 11/07/2009 - 16:34.
the best way to trade forex is learn the candlestick movement,reconize the candlestick patterns. from the pattern of candlestick movement you can know went you want to enter market & when you can close your profit. pls learn & study the candlestick from this link that i give you. P/s: it help me to increas my profit. for your info.. my deposit money in forex is USD10. withen in one day i can get USD17 not include my deposit. profit perday withot using stoplost & take Profit. but you must always infront PC. TQ. Submitted by Beginner Trader on Fri, 11/20/2009 - 09:29.
how do I copy or download such file that you provided as below to my MT4 indicatir folder ? pls brief the required steps to do this. tks. Submitted by MK on Tue, 11/24/2009 - 07:02. I am a new learner into this forex trade, can you guide me what will the best indicator to use or refer to for better monitoring of GPBUSD pairs for entering and closing of buy / sell trade. tks, MK here. Submitted by Forex Tutor on Sun, 11/29/2009 - 09:41. Start with MACD and Stochastic. Submitted by babat on Fri, 01/29/2010 - 03:30.
for a 5 minutes time frame, what is the best stochastic to use? Submitted by Forex Tutor on Sat, 03/27/2010 - 02:23. Use Stochastic 5, 3, 3. Submitted by Beginner Trader on Thu, 07/15/2010 - 14:35.
very useful tips, am yet to trade and was looking for guidance on even basis about risks and benefits. Submitted by Beginner Trader on Wed, 07/21/2010 - 16:24. Submitted by Nana on Thu, 09/02/2010 - 19:01. I have $100 account with 1:200, what is the best volume to be using? and secondly, what are the best pairs to trade? Submitted by Forex Tutor on Thu, 09/02/2010 - 19:01. Start with micro lots (0.01 lot). 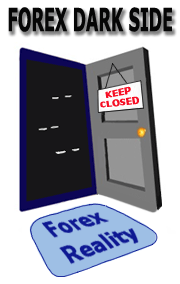 The pairs to focus on: EURUSD, GBPUSD, USDJPY. Submitted by Beginner Trader on Mon, 09/20/2010 - 23:25.
hi i want to know what is an indicator? And what is it's function when trading. thanks. Submitted by Forex Tutor on Sat, 09/25/2010 - 13:27. Indicator is a tool that helps you to interpret the market - helps with the technical analysis of price trends & market forecasts. Every Forex trading platform offers multiple indicators for technical analysis. Your first step would be to download a trading platform and try applying a few indicators to see how they work. Submitted by Beginner Trader on Mon, 05/30/2011 - 10:29. Hi, pls i want a guide on how to install the MACD two lines .mq4 in my platform, thanks. Tunde Nigeria. Submitted by Beginner Trader on Mon, 07/04/2011 - 02:58. Submitted by Beginner Trader on Mon, 07/11/2011 - 14:39. Is there a accurate 3 EMA Cross Alert Indicator, which give sell or buy signal when three EMS crosses? Submitted by Beginner Trader on Wed, 08/17/2011 - 22:18.
can you please tell me how to download the MACD 2 lines mq4 indicator to my platform? Submitted by Beginner Trader on Fri, 10/07/2011 - 07:50. Hi isit good to trail like example trail 15 or 50? Submitted by Beginner Trader on Fri, 10/07/2011 - 08:00. Hi is it good to trail? cause sometimes u feel unsecure. Submitted by Beginner Trader on Wed, 11/02/2011 - 12:18. I understand the Accumulation Distribution line indicates the the accumulation of buyers or sellers i. e. when buying is going on the line rises and when selling pressure is going on the line moves down. Of what significance is the zero line and how much weight should I give to the positive or negative position of the line? Submitted by Beginner Trader on Sat, 04/14/2012 - 21:27. Hi, I've noticed that it's way easier to tell price direction and get into a run when the volitility is running higher. Lately the volitility is way down and the moves take forever on the 300 Min. chart. Is there a free volitility calculator that you know of that is available that can look back several Months, Weeks, or Days to see where each pair is relative to its past? Also is there a way to get an historical average of the best performing days of the week and times of the day that occur for each pair? Submitted by Beginner Trader on Sat, 04/21/2012 - 11:30.